Works with most Cateye rear lights with a square fixing on the back. Product fitted my rear pannier rack. Screws were simple to screw in. Cat Eye light fitted. What more can I say. An excellent piece of kit. Works well. This is, like all Cateye kit, simple and reliable. We fitted these to all our pool bikes at work and, together with the Cateye rear lights, they have worked very well. Can this bracket tilt so that the light faces upwards more? My rear carrier is mounted at a slight angle, meaning that a light mounted flush with it will point slightly towards the ground. Can this bracket compensate for this? The only way to tilt this would be to modify the backside, however the fittings then may not go in correctly. Which of these lights is the bracket compatible with? 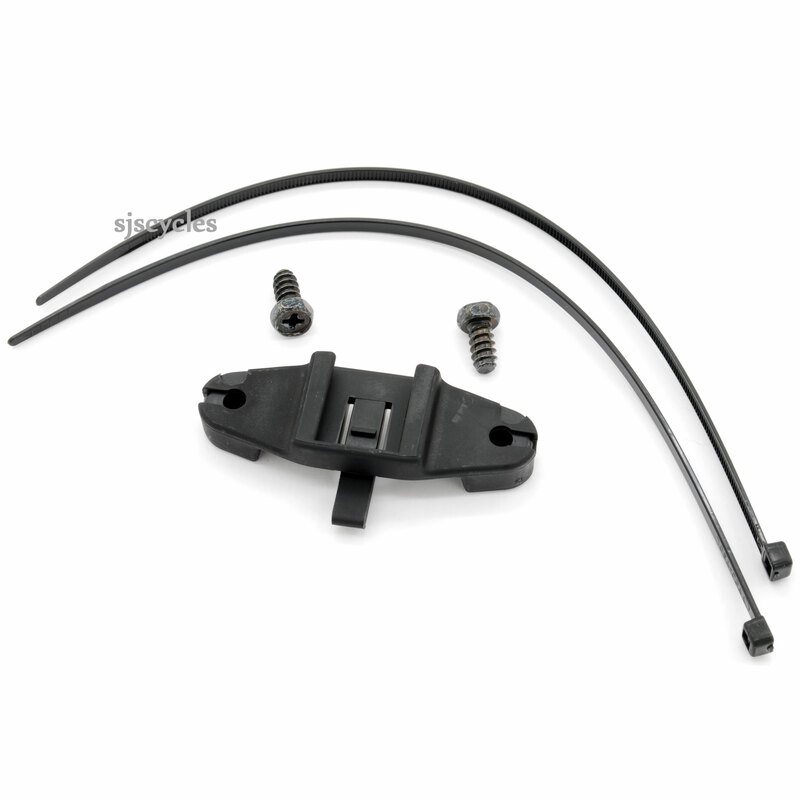 Secondly what are the cable ties for if the bracket secures with screws to the back rack? Don't the screws hold it secure enough? The following lights are suitable; 1 and 3. The other lights fit with a simple rubber band. If there are no mountings to screw into on the rack you can use the cable ties. what rear light would you recommend for this? Is the bracket quick release and what rear light would you recommend for this bracket? I need something to use for extensive touring. Yes the rear light would be quick release from the bracket. The choice of lights is extensive, there are many variables such as battery or usb charging etc. Cateye produce many lights that would fit this and be suitable for touring. Will This Bracket Fit The Thorn Rear Rack. Yes, the Thorn rear rack has provisions to take 50mm spaced lights/ brackets.